This week was so hectic with skating party, band concert and tests for kids. I was uncertain about adding a post this week, but when I saw an invitation for the Cookie party from Lifescoops I felt the energy vibe and thought to bake something so that it can go for the Cookie party as well as can be a snack for kids. Years ago, a friend of mine made these cookies and brought it to work. It was a delight with the perfect combination of spices and flavor of ginger. Obviously I got the recipe from her for Soft Ginger cookies. Since then I make it every year during the holiday seasons. I take it to the family gatherings every Christmas and it is a big hit. 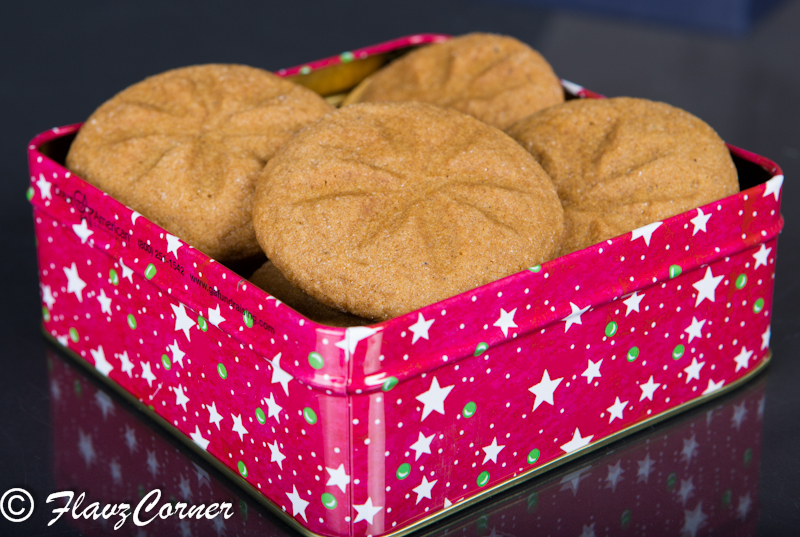 Soft Ginger cookies are very soft as the name suggests and is spiced up with Ginger, Cinnamon and Nutmeg and Cloves. 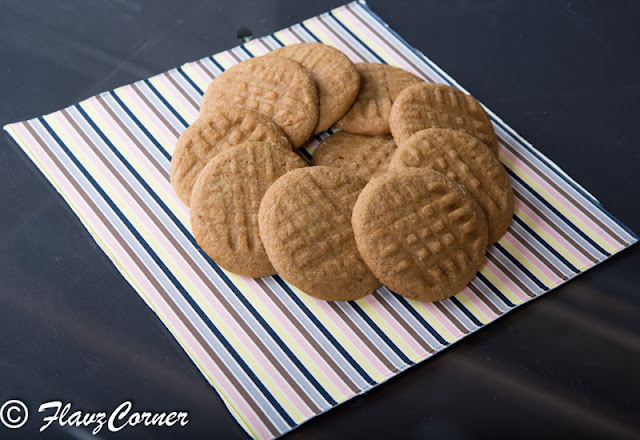 These spiced cookies can be a great treat to welcome the vivid fall. 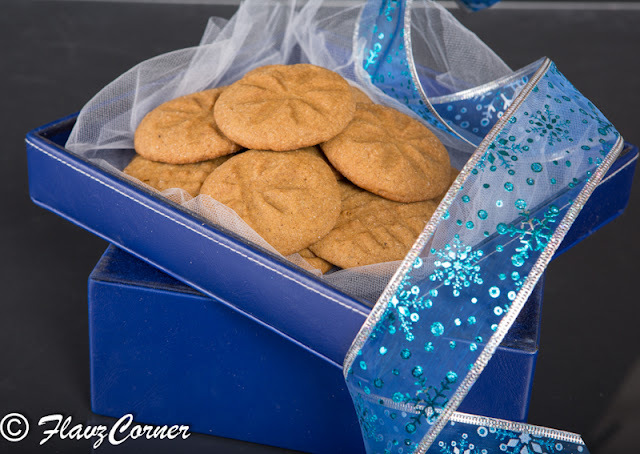 You can pack them in decorative cookie boxes or jars and it can be a great holiday gift. In a medium bowl, combine the sifted flour, ginger, baking soda, cinnamon, nutmeg, cloves and salt. Keep it aside. In a large mixing bowl with an electric mixer on medium speed, beat butter for 30 seconds. Beat in the 3/4 cup sugar. Add egg and molasses; beat well. Stir flour mixture into egg mixture and using a rubber spatula mix it well. Shape dough into 1 inch balls, using about 1 heaping tablespoon of dough for each. Roll balls in the ¼ cup sugar to coat. Place balls about 2 - 3 inches apart on ungreased or parchment paper-lined cookie sheets. Plop them into the oven for 8 - 9 minutes or until light brown and still puffed (do not over bake). Cool cookies on cookie sheet for 2 minutes, then transfer to a wire rack and let cool completely. Make sure the butter is at room temperature and just soft enough to mix. Don't melt the butter in microwave. If the dough appears to be sticky, add 1-2 tsp of flour to the dough or refrigerate the dough for 30 mins. I used a fork to make the design on the cookies. Press the fork on the rolled balls till it flattens little bit and make another print crisscross to the previous print. Shibi - thanks for sending this recipe for the cookie party. I have added your recipe to Pinterest. Thanks Manju!!! The flower print was done with the bottom tip of the fork.